'Back To You', a book of emotional healing, is a collection of twenty poems written from the heart. It includes the thoughts of healing during a journey of sorrow and grief, while looking for the positive affirmations in life. This collection of poetry is written for the hopeless romantics, the wandering souls and the free spirits who look for the good in life. 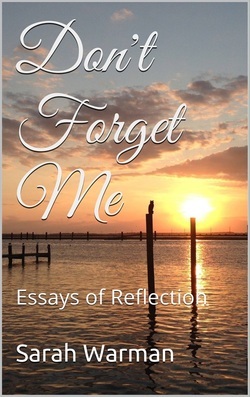 'Don't Forget Me - Essays of Reflection' is the sequel to Sarah's first book of essays, 'Don't Forget to Write'. Sarah shares more of her essays as she weaves and winds her way through adulthood. She examines the complexity of her relationships, the losses she's faced and why life may not be taking the path she expected as she enters her thirties. What happens when life doesn't go as planned? What happens when you have more questions than answers? When do you become an adult? What happens when you realize you'll never have everything figured out? 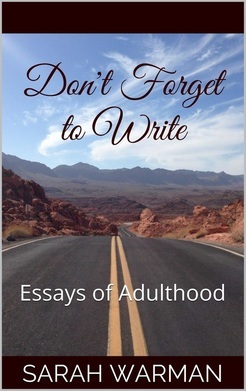 'Don't Forget to Write' examines these adventures into adulthood including Sarah's high school graduation, college memories, losing her job, and the losses she's overcome in her life. Sarah also includes several lighthearted essays that reveal why she would never be a paramedic, wear a running skirt, or be offended by someone telling her that she has huge thighs. She also reveals thoughts on leaving behind a legacy and why social media is ruining her life. The essays, written over a time span of fifteen years, reveal the struggle, worries and fears of adulthood.